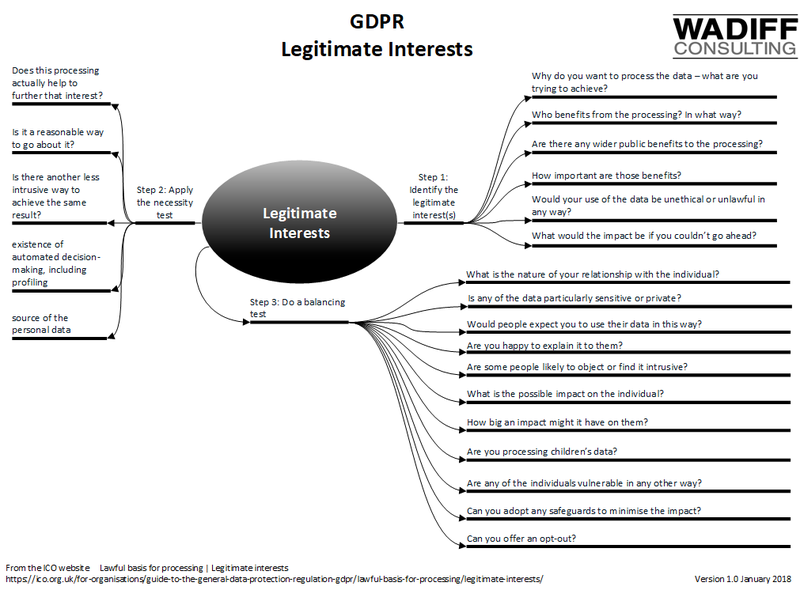 Legitimate interests (LI) is one of the lawful basis for processing personal data. The ICO say it is appropriate “where you use people’s data in ways they would reasonably expect and which have a minimal privacy impact, or where there is a compelling justification for the processing”. The three parts to the test to identify a LI have been put into a mind map to act as a quick reference. You can use the Checklist on the ICO website page to go through the steps for using LI. The Data Protection Network also has a useful document on LI; you need to register to access it.